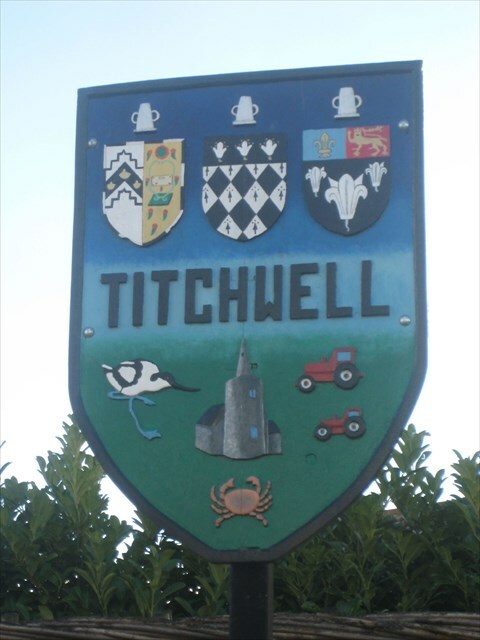 The village is renowned for its RSPB reserve at Titchwell Marsh, an area of salt and freshwater marsh that extends along the coast towards Brancaster. It also has a Norman Church with an unusual spire and a small nature reserve that has been established in a chalk pit that had been used as a rubbish dump. Titchwell used to have two pubs, but one of them, "The Three Horseshoes" has now been converted into apartments for the use of holidaymakers and investors. The village also has an obelisk at its centre, this would have been a marker point and meeting place for travellers and pilgrims. The parish church, dedicated to St. Mary, is one of the 124 round-tower churches in Norfolk. That there was a church at Titchwell at the end of the eleventh century is evidenced by Domesday, and much of the existing building dates from about that time. The tower is an interesting example of the many East Anglian eleventh century round towers. Although Titchwell Church attained its present plan during the 15th century, repairs were carried out in 1844 and again in 1859, but in 1890 came a thorough restoration of the whole building. The spirelet on top of the round tower is a special feature of this church, which shows well from the main road. Travellers along this Saxon Shore see a full range of church towers in commanding position all the way and each one is different. Here the spirelet is topped by a substantial cross.